I want to start a small business in Australia - what are the different legal options? Starting a small business is an exciting venture, but the initial enthusiasm can fade once you are faced with the different legal options for setup. It is very important that you are well informed before making any decisions, as this will affect your business structure, personal liability and tax. Sole traders remain individually responsible for their business and call all the shots. However, they also exclusively hold unlimited liability for any losses that the business incurs, which extends to personal assets. This risk is often overlooked due to the easy, flexible and relatively low cost of setup. Businesses that start out as sole traders usually transfer to a different model once they grow. A partnership works like a sole trader, except there can be up to 20 people legally running the business. Partnerships usually require a formal document to outline the agreement between the partners. A disadvantage is that individuals hold unlimited liability for the losses incurred by their partners. Also, the business cannot be transferred unless all partners agree with the decision. 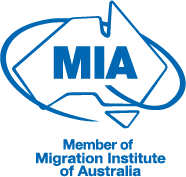 An incorporated association in Australia is known as a company. Incorporating a business is usually a more expensive option that requires compliance with extensive regulations. However, the extra work is often worth it, as companies have the same legal status as a natural person. This means that companies can be sued and incur debt independently of their owners. This limits individual liability and protects personal assets from business losses. Companies are usually made up of shareholders and directors. Most small businesses will be set up as a proprietary (private) company, where the director/s hold a say over the 50 or less shareholders in the company. Large businesses will usually become a public company to increase shareholder investment, but this will leave directors answerable to shareholders. A trust is usually formed by a ‘trust deed’ that sets out the obligations of a trustee, who holds and distributes business assets for the benefit of ‘beneficiaries.’ The trustee is usually a company, in order to receive the advantage of limited liability. Trusts are usually favoured due to the extensive tax benefits. However, trusts are expensive to start and will incur ongoing costs to maintain the complex legal arrangement. Whilst there are pros and cons to each type of business, it is necessary to seek professional advice in order to ensure that your business structure suits the individual needs of your enterprise. If you need advice regarding an appropriate business structrue, or have other concerns relating to your small business, contact the team at Pathway Lawyers & Migration Agents. Newer PostIf I break an Australian employment restraint of trade clause, do I have a defence? Older PostDo I need an Australian Business Number (ABN)?